February’s weather had meant this fishing had been all but a non starter. So when the forecast said that the weekend may offer a slight reprieve I leapt at the chance to get out there and try to catch a few fish. 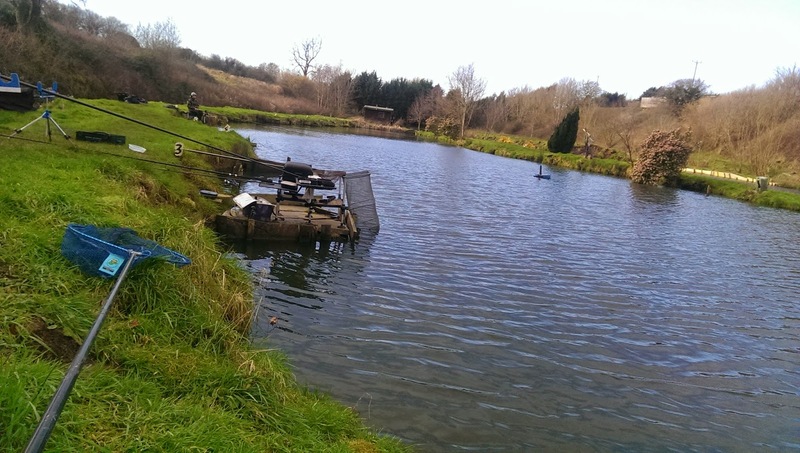 Randomly coming across this venue (The Old Mill Fishery) after a “Things to do in Yeovil” Google search, it seemed like a promising Carp fishery. Although slightly difficult to find, I finally arrived at the venue and my first impressions were quite good. It was a complex of lakes, with the river flowing behind them. All the lakes looked fishy, but I choose the match one in the hope of catching a few winter roach. Starting the day there were 3 of us. The Old Mill is a club water, but open to pleasure anglers on a day ticket at the price of £6. 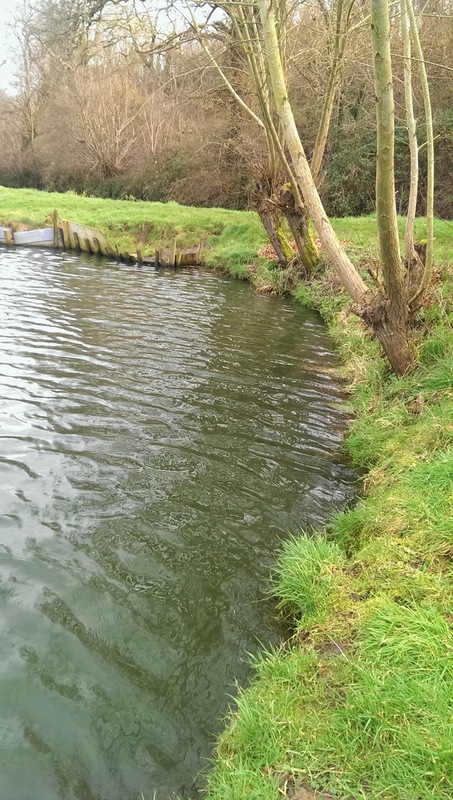 A quick chat with one of the club members who was also fishing, meant I found out that the recent deluge of rain had taken it’s toll on the fishery. The flooding had caused the river to burst it banks washing away a vast amount of the lakes stocked fish. 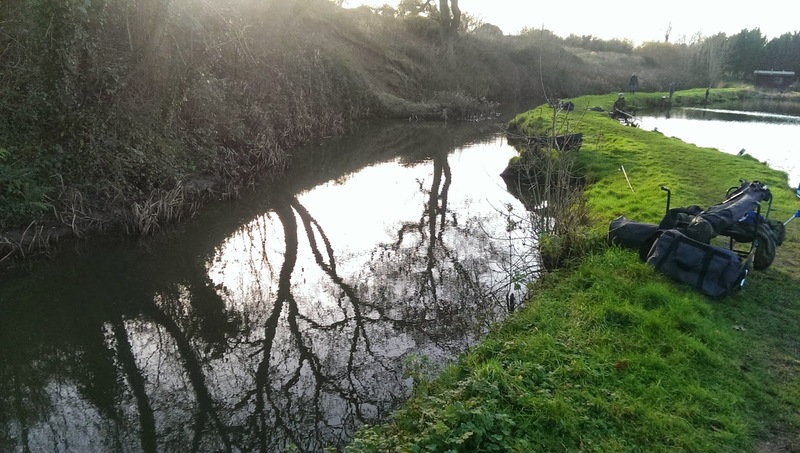 These fish which included, Roach, Perch, Bream and a few sizable Carp were now re-homing themselves in the river system. This may be difficult…Walking around to my chosen peg I noticed that some of the other pegs were submerged. Some were also in need of repair. All it seemed were a result of the recent flooding. 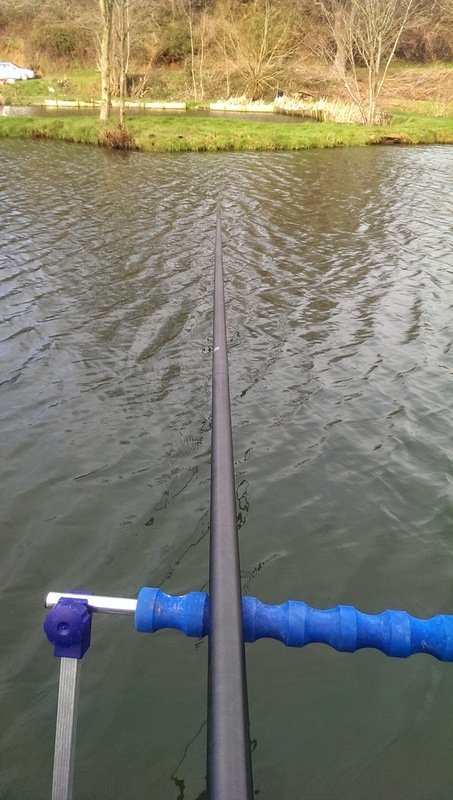 I chose a corner peg which offered an open water swim, a corner swim and a far bank which was an easy waggler cast away. The other club member decided to fish next to me, and a few quick words from him confirmed today was going to be tough. “I fished there all day yesterday, didn’t get a bite!” Remaining optimistic I thought “Time to prove you wrong…” I had an array of bait, from pellet to corn, meat and maggots, with the majority of baits covered in between. A look through my box showed me that I’d been neglecting rig making, and on a cold day like today I would have to scale right down. I quickly made a promise to myself to make rigs once home… and warm. After 4 and a bit hours of trying (and freezing), I had 1 bite, and because of the considerable left to right wind and the ensuing surface chop, I didn’t even realise I’d had a bite! Only when I brought in my rig, did I notice that the maggot hookbait had been nibbled. In that time I saw 1 fish being caught (a roach no longer than 2 inches), on a lake with 5 anglers. I tried the entire array of baits in my carryall, including various combinations. Nothing would tempt them. Blanking isn’t a great experience, but fishing hard venues like this does serve as a reminder as to how heavily stocked the majority of commercial waters are these days. To be honest I didn’t mind the blank, I just felt bad for the club member I was fishing next too (who also blanked) who was repeatedly telling me that “it doesn’t normally fish like this” and “the club has a good summer evening league if I would be interested in joining?”. The river by contrast was a hive of activity with both fish and water voles. It was such a shame, because the lakes offered enormous potential, and the river behind the lakes looked incredibly fishy too (the fact was that at the time it probably had more fish in it than the lakes). According to the club members there is also a problem with mink. They are slowly but surely eating the few remaining fish in the lakes. Talking to a few other club members who had a walk around in the afternoon, the club seems like a closely knit bunch, all happy to see a new face on the water. I couldn’t bring myself to tell them that I wouldn’t be returning any time soon. Or at least until it warms up and they have put some fish back into the lake. By way of facilities, there wasn’t much either, besides a reasonable sized car park. As mentioned, some of the pegs required repair or replacing and disabled access would have been incredibly tricky as the banks, although flat, were uneven under foot. I will return to this venue but not until at least midsummer.